Observation notes: Time: 1:09 p.m. Weather: Warm, fairly calm, and mostly cloudy (it rained at one point). Habitat: Very dry upland prairie. 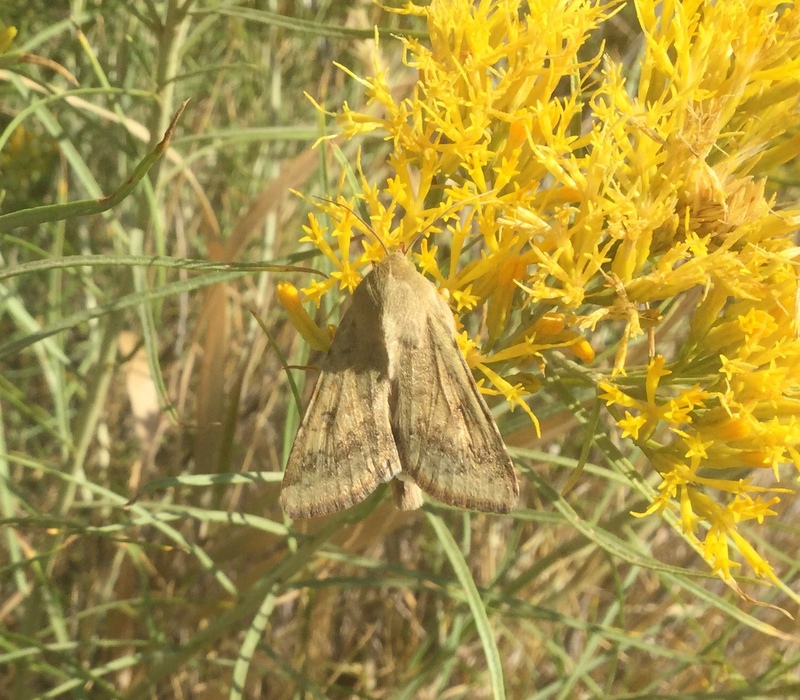 Notes: This moth was nectaring on a fully-blooming rabbitbrush right at the start of the Well Gulch Trail. My best guess at identification is the Corn Earworm Moth.